Welcome to Plasma Warriors Cadets! This army will grow strong and we have big allies and we are epic because we are plasma(we can freeze,burn,and stuff goes thru us). PWCP was made mainly for fun and entertainment. if we lose a battle we just get back up,train,then fight the same enemy again until we beat them. We are still under construction but when we are done we will look EPIC and be epic. And plasma is energy so we never get tired. Power,energy,and bravery courses thru our veins. Have fun and be strong cadet. Also be active. If someone is private chatting you about another army tell a moderator or owner please. 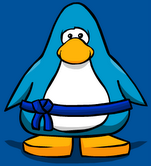 Hi I am the lead/creator of Plasma Warriors of CP (PWCP). I have been in CP army's since 2010 and my first army I was in was ACP. I soon got bored of being under rank than everybody,so i created DMW(demon warriors of cp). Turn's out Demon didn't show on CP O_O . 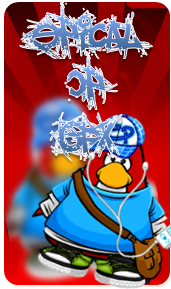 So i changed it to BACP(Blizzard Army of CP). It sucked because like no one joined,killed that. So i just gave up and joined nachos. I went far in nacho's...until i again got bored of being below everybody. SO i created Dream Troops(dead). This army however didn't die,it lived for a long time. Then my army and Black Hawks combined to make BlackDreams. Black Dreams i retired from because sooo much drama. But now i am here to lead PWCP and never give up and hope Plasma shows on CP. I love to be asked questions. I will always answer them,so don't be shy to ask me your questions.